Friday Night 6:00 p.m. – 10:30 p.m. • Saturday and Sunday 11:00 a.m. – 5:00 p.m. • Saturday Night 6:00 p.m. – 10:30 p.m. 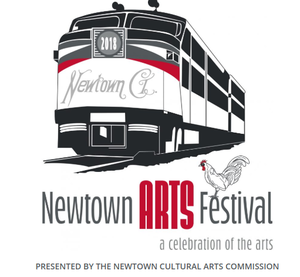 The Newtown Cultural Arts Commission established the Newtown Arts Festival to promote and support local arts and the community through arts-inspired entertainment, education, exhibits, and sales. The festival showcases all forms of creative expression, such as visual arts, dance, music, the written word, and theater in the setting of a town-wide celebration. Proceeds will support grants and scholarships for local artists and arts organizations, future festivals, and other work of the Newtown Cultural Arts Commission. In 2017 the month of October was officially declared “National Arts & Humanities Month” in Newtown! We will be promoting a wide variety of artistic events and performances from September 29th – October 31st, 2018.